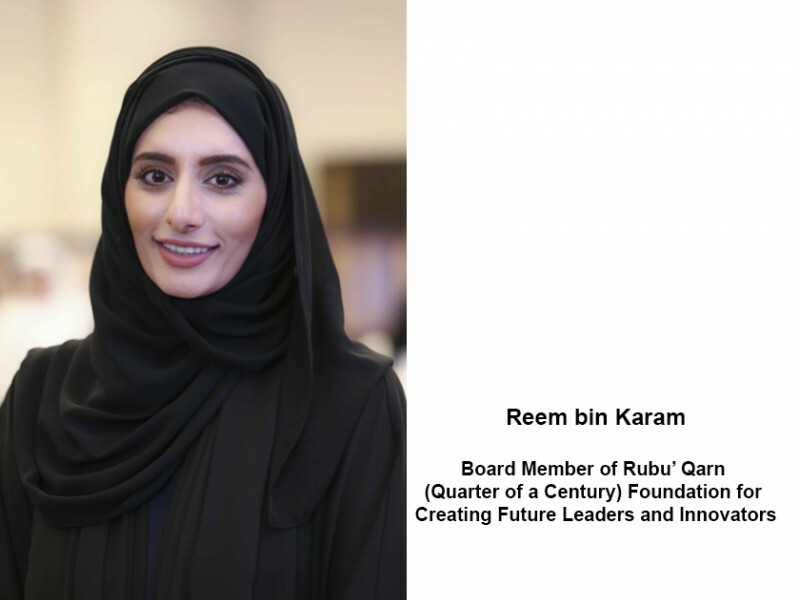 SHARJAH, 11th August, 2018 (WAM) -- Reem bin Karam, a member of the Board of Rubu’ Qarn (Quarter of a Century) Foundation for Creating Future Leaders and Innovators, said that the UAE, through its long-term development efforts and strategies, has become a global model for supporting youth, investing their energies, and motivating them to produce and innovate. She added that the UAE has provided various opportunities to empower young people in various areas of life, instilled in them the spirit of leadership through inculcating in them values, customs and virtuous behaviours, and activated their role to be active players in building the present and future of the homeland. Bin Karam’s statement came while marking the International Youth Day which falls on August 12th. "As part of Rubu’ Qarn strategy، we work on uniting all efforts aiming to qualify future generations, sharpen their skills and motivate them to innovate and invest their potential energies to achieve the overall development in the UAE. Our strategic goal is to build a youth capable of influencing their reality and future, committed to their national identity and established values, based on our belief that they are the basis of society building, the vanguard of development work and the driving force of economic progress," Bin Karam concluded.